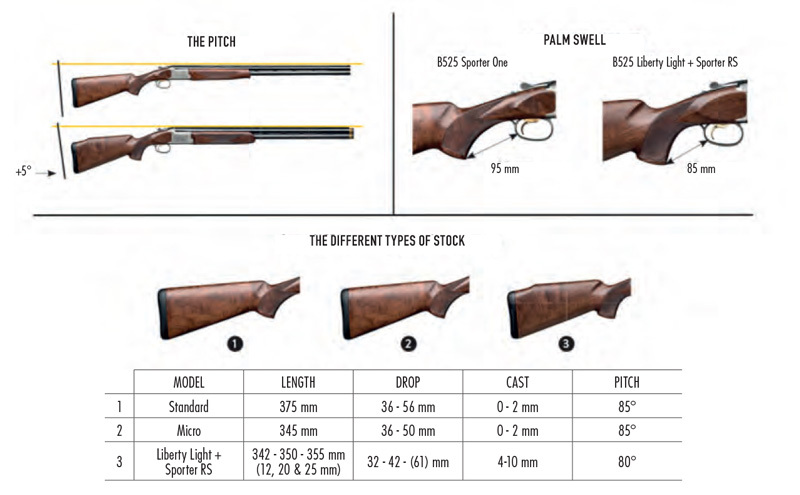 Drop at comb 32 mm - 1 1/4"
Drop at heel 42 mm - 1 1/5"
Designed for women, youngsters and hunters that are not fully satisfied with regular buttstocks, such is the main characteristic of the new 12 Magnum shotgun. It has an aluminium action frame decorated with new engravings and possesses a Monte Carlo style stock with an adapted pitch, a pistol grip and two recoil pads supplied in the box. Well balanced and light, its level of technical perfection will give you a feeling of real liberty.